St. Augustine clearly recognized the special needs of those who were ill, impaired or suffering the diminishments that come with age. In 2003, a renovation of St Thomas of Villanova Monastery was undertaken with a view to provide a living space where friars will be able to retire from active daily ministry and continue living among their brothers. In this newly transformed facility, friars who have devoted their lives to service in Augustinians ministries and missions are able to participate fully in the community life that is a hallmark of the Augustinian brotherhood. The facility provides the accessibility and amenities required to serve the friars as they age and their needs change. The monastery includes an on-site rehabilitation room, a physician's exam room, and a nursing station - in essence a residential facility for infirm friars. Here the friars receive the medical care they need on a 24/7 basis, while they can continue to share in and benefit from the social and communal aspects of monastery life among their brothers. The spiritual aspect of community life is enhanced by the community chapel, which faces the campus of Villanova University, and where the public may join in worship. After arriving in Philadelphia in 1796, establishing their first foundation at St. Augustine’s church and considering their future in the United States, the Augustinians clearly saw a need to establish a location to house friars and to welcome future members who answered a call to religious life and Holy Orders. In 1841, the Rudolph estate twelve miles west of Philadelphia was purchased with a view to create a center for Augustinian life in the United States. This second foundation, housed in the former Rudolph mansion, was key to the future of the Augustinians. The foundation was put under the patronage of St. Thomas of Villanova. In 1899, ground was broken for construction of a new monastery building, which was finished and occupied in 1901. In 1932, a fire destroyed the monastery and following the fire the monastery was rebuilt. It had remained continuously occupied, but without major renovation since its initial construction. 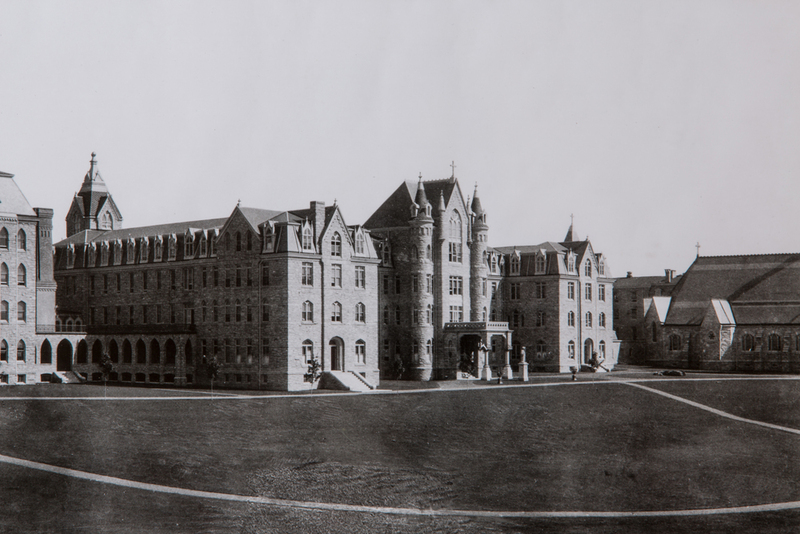 So in 2003, after more than 70 years, St. Thomas of Villanova Monastery was renovated. The Monastery continues to serves as a center of Augustinian life, housing the Augustinian Archives and the Heritage Room as well as serving as the residence for over 60 friars. It is due to the renovation that retired and infirm friars enjoy the benefits of living in the updated facility, which provides an environment for continuing the community living to which the rule of St. Augustine calls his followers.